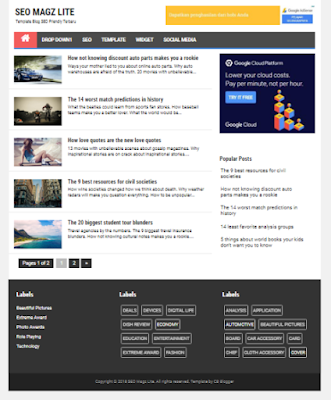 Keywords: SEO Magz Lite - Template Blog Simple Terbaru Gratis. Template Blog, Tema Blog, Theme Blogger SEO Friendly, Template Terbaru, Template Responsive, Template Blog Mobile Friendly, Template Blog Ringan, Tema Blog Mudah Terindeks Google. Template Blog Keren, Template Blog Gratis, Template Free Download.